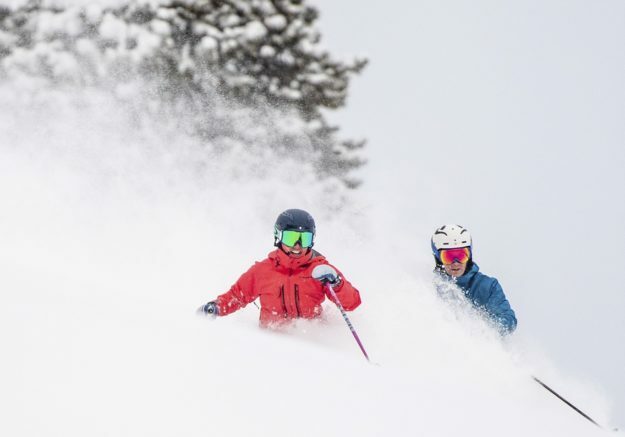 The snow was deep Sunday in Vail’s Back Bowls (Vail Resorts photo by Abby Hein). Vail on Saturday opened parts of the Back Bowls after 15 inches of snow fell since Thanksgiving night. Both Chairs 5 and 9 were up and running on Sunday, with plenty of fresh snow but big crowds converging on Sun Up and Sun Down Bowls. With more than 2,000 skiable acres now open so soon after an early opening day on Nov. 14, the focus is now on China and Tea Cup Bowls. The first part of the week should be dry, but more snow is in the forecast for the middle of the week.